Marion is home to a community of driven and innovative business owners. As America’s Workforce Development Capital, we’ve worked hard to implement programs that support both large and small businesses while fostering an entrepreneurial spirit throughout the community. One of these programs is The Forge, a small business accelerator that emerged from Leadership Marion. With a concept similar to the television show Shark Tank, this program provides additional education and resources for local small business owners. To do this, The Forge partnered with Marion Technical College staff and held their first small business competition in 2017. Participants were able to submit a brief business plan, which would later be judged by a panel of local entrepreneurs. 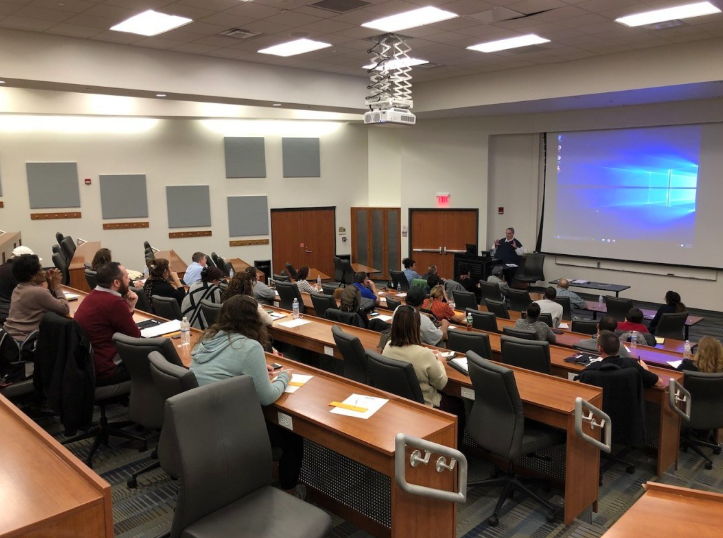 Expanding on their partnership with Marion Technical College, The Forge was able to offer free classes for those who participated in the competition. For four weeks, entrepreneurs were able to engage in topics like refining business plans and creating a cash flow statement. However, with any first go-around, there is always room for improvement. When only eight entrepreneurs came to participate in the classes, The Forge felt that restructuring the next competition would allow for increased class attendance. Olson praises these classes along with the staff at Marion Technical College for their willingness to answer questions and provide feedback for participants throughout the competition. After seeing the success of and insightful proposals brought forth during the recent competition, Olson is thrilled to see the innovative and diverse ideas Marion community members have to offer. “It’s very exciting to see that the entrepreneurial spirit is still very much alive and well in Marion, Ohio,” said Olson. For more information, visit www.forgemarion.com.